2.5 lbs. medium Granny Smith and Golden Delicious apples (about 5 or 6), peeled, cored and sliced 1/4 inch thick. 4 tbl. cold, unsalted butter (1/2 stick), cut into small pieces, plus more to coat the dish. Heat the oven to 350°F and arrange a rack in the middle. Lightly coat an 8-by-8-inch baking dish with butter. 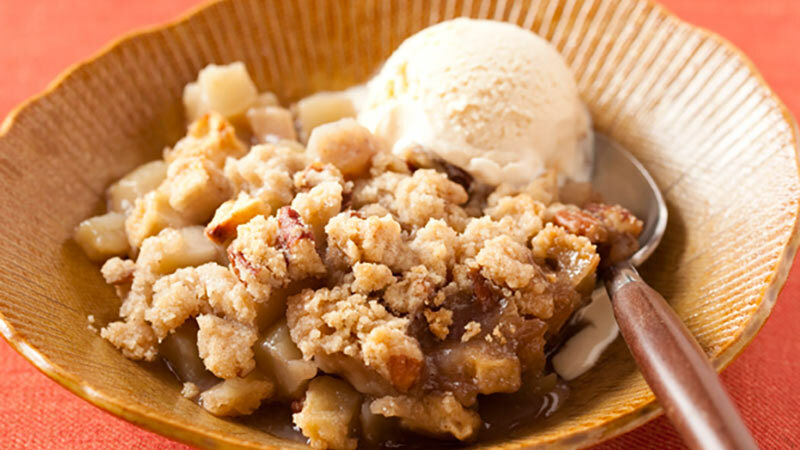 Combine the apples, granulated sugar, cinnamon, and 1/8 teaspoon of the salt in a large bowl and toss to coat. Place the apple mixture in the prepared baking dish and set aside. I like to add dried cranberries and raisins too-really any fruit combo will be delicious. Pair yours with one of our WildAire Wines today!